In our recent report on the SXC race at Kirroughtree on 1st September we failed to give the correct name for the bronze medal counting position in the Juvenile Girls race. The correct positions were: Katie Allen (Team Thomsons Cycles), Ellie Park (Glasgow Riderz) and Polly Henderson (Stewarty Wheelers). 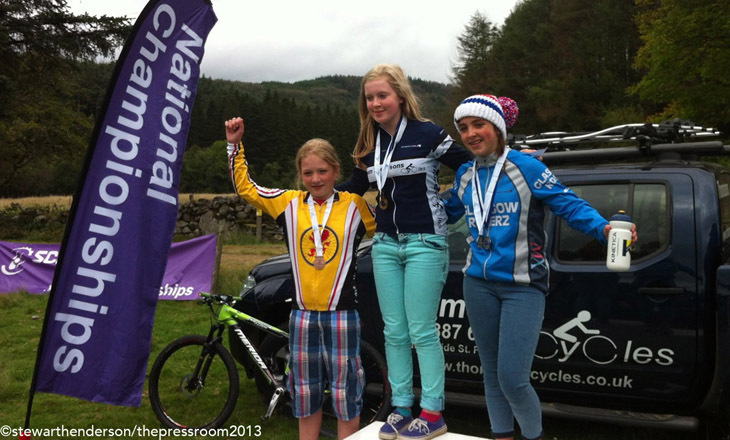 Well done to all the girls and we're sure we're going to be seeing these riders making headlines in the future.